Ready to revolutionize the world of track loaders, introducing the new CL45 from IHI. 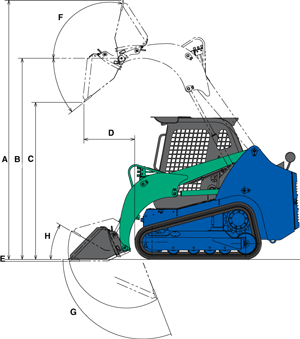 Based on a rock-solid concept and heavy-duty construction, the CL45 Track Loader is designed to show off its high usability and functionality even in adverse working conditions. 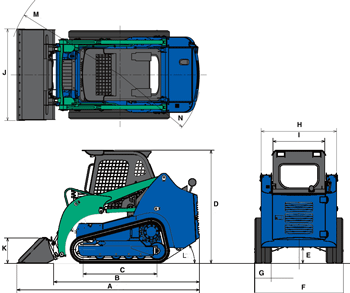 With a proven track record in heavy equipment, IHI’s hydraulic system accurately responds to the will of the operator. The CL45 offers comfort, ease of use, eco-friendliness, durability and reliability, as well as easy maintenance. Developed through the pursuit of what a track loader should do and what it should be, the CL45 is ready to revolutionize the way you work, wherever in the world you are. Bucket Capacity SAE Heaped 16.9 cu. ft.